Une envie d'un wallpaper sur Ishida. Meme si je l'aime pas trop, je trouvais cette expression sympa. A tout les fans d'Ishida Uryu ... ou pas xD. I like this expression of Ishida, even if i hate him. For several screen resolutions as usual. that must be ishida uryuu! finally, something not like the usual. awesome. that really good, very unusual and not what you see often in a wallpaper, i love it, its really great to see something that is so out of the ordinary. Merci beaucoup c'est tres bon! 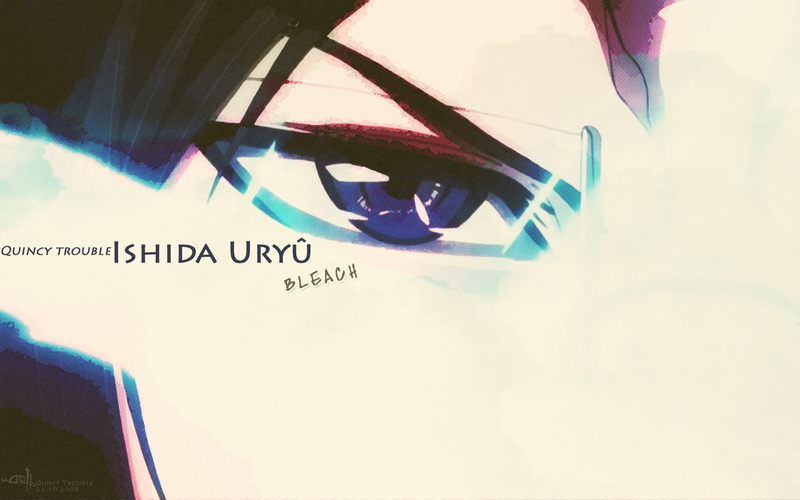 i like this wall because you just used a part of the face of ishida (the eye), simple text and great color and effects. i never saw wallpapers this ishida from this interesting point of view! Thanks you so much for sharing!